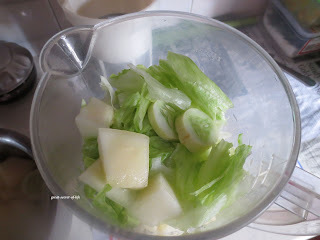 Honeydew is one of the fruits my kids love to eat as fruit not as juice. 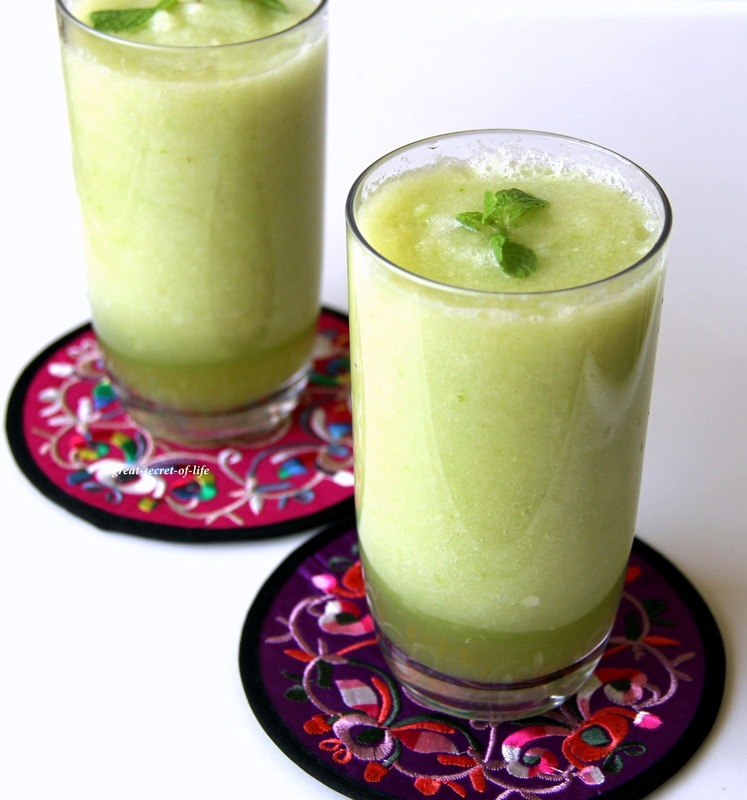 As juice from Honeydew is more foamy. So I seldom do honeydew juice at home. However since kids are growing up as they grow their taste buds changed I would like to give it a try again. With the kind of weather we have it would be quite refreshing especially my first is out for entire day out in the son for a Canoeing competition. I wanted to make more healthy so added Cucumber and Lettuce as well. It tasted pretty good. Peel the skin of Honedew. Cube it. Slice cucumber and lettuce ( I have used cucmber with skin. If you prefer without it remove it before slicing) Combine all the ingredients except sugar in blender / mixie / food processor. And grind till it is smooth. Add Sugar (if using) and run the blender for another min. Serve it chill and beat the sun! Such a refreshing and eye pleasing superb drink. 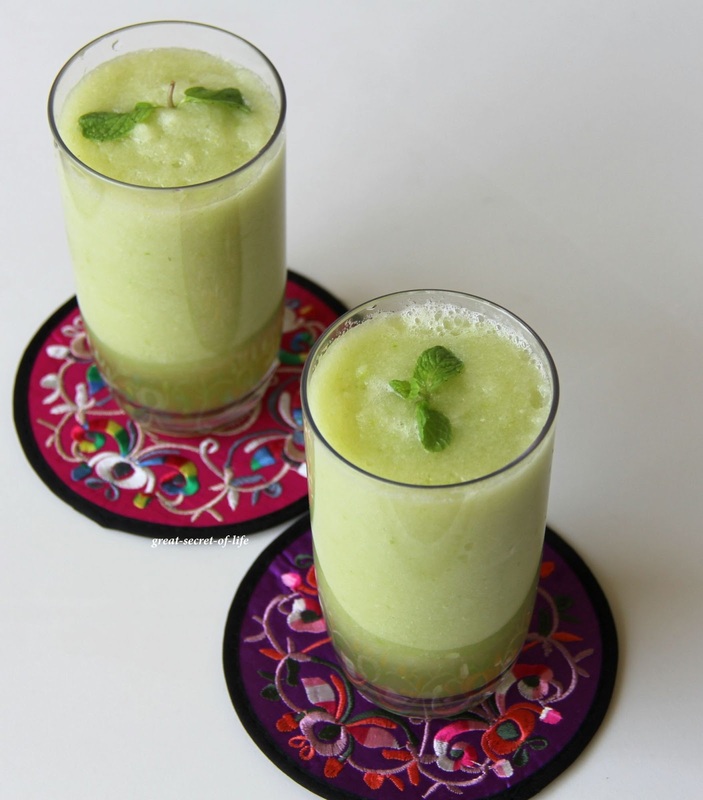 such a refreshing n healthy juice!! This looks so fresh and perfect for summer! Thanks for sharing. looks very refreshing and cool. I cut up the honeydew melon into small pieces, put it in the fridge overnight, next day it's created some of it's own juice. I fill my magic bullet 1/2 way with honeydew and some of it's own juice, add green tea or water and wow!!! Tastes great and what a detox!!! 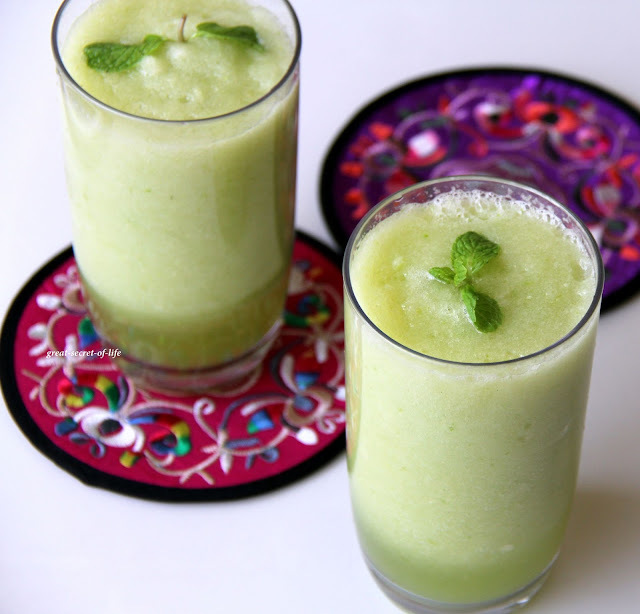 Healthy, refreshing and delicious. Great recipe!